The Rolled chair by Jonathan Nesci is an exercise in process of only three main components. 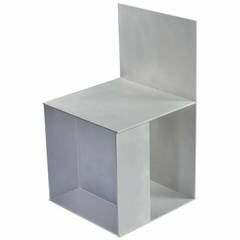 The body, backrest, and seat are made of aluminum sheet which is cut flat, mechanically rolled into shape and continuously welded to what appears to be a simple extrusion. Comes with a custom leather cushion. Material, color and leather finish variables by request. 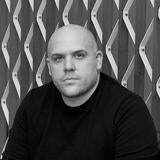 Jonathan is a furniture and exhibition designer based in Columbus who works with a variety of producers in the Midwest that use conventional and digital fabrication processes to execute his designs in a myriad of materials and finishes. In 2009, "Wallpaper" honored Jonathan with a Design Award for Best Use Of Material for his “Library Bookcase,” a wall-mounted shelf in polished aluminum that was recently added to the permanent collection of the Indianapolis Museum of Art. A &quot;Nine Variations&quot; chair from Jonathan Nesci for Mondo Cane in polished and waxed aluminium plate. Lead time 4-6 weeks. Edition of 20. Jonathan Singleton &quot;Crate,&quot; stainless steel cube lounge chair with upholstered cushions, circa 1980. Measure: Height 35 in, width 33 in, depth 35 in. 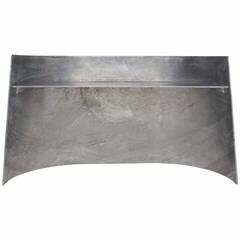 Hot-dipped galvanized steel bench by Jonathan Nesci. 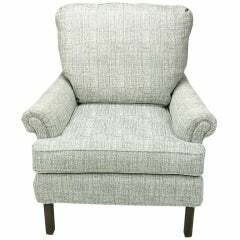 Single lounge chair in dove grey heathered linen. 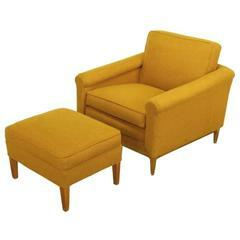 Custom built with dark stained clean lined legs, rolled arms and loose cushions. Similar to early Edward Wormley designs for Dunbar. 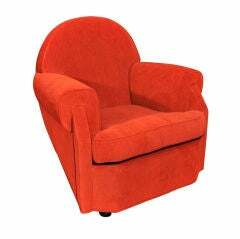 Sculptural club chair with dome shaped back, large rolled arms and balled feet. 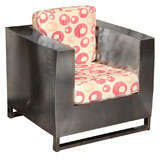 A really striking form, upholstered in rust colored fabric. 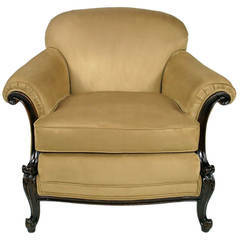 Completely restored Classic rolled arm club chair with carved wood frame and cabriole legs. Newly upholstered in a thick tan Ultrasuede fabric.